Monster redirects here. For more uses see Monster (disambiguation). Deep within the bowels of the Laboratory, alone and miserable, lurks a monster so terrifying, so hideous, that no one dares to speak its name. Known only as Dr. F. Romage's Monster mice, their horrible howls can be heard rumbling throughout the walls of the Lab, haunting those who dwell close enough to hear them. The Monster Mouse is only attracted to Radioactive Blue Cheese, Rancid Radioactive Blue Cheese and Magical Rancid Radioactive Blue Cheese. No Charms are required to attract the Monster Mouse. The Monster Mouse is weak to all Power Types (except Parental). However, in the Catacombs and Mousoleum locations Shadow and Arcane weapons will be effective against a larger group of the available mice. Attraction info and special event loot drops for the Monster Mouse can be found at the individual event location pages. The Monster Mouse drops the Monster Egg during the annual Spring Egg Hunt. When individual mice weights varied, the heavier a Monster Mouse was, the more loot it would drop. The Dr. F. Romage in the description is a play on fromage, the French word for "cheese." The faint silhouette of the Monster Mouse can be seen on the Laboratory banner image. 12 June 2008: The Monster Mouse was released. 24 March 2010: The Monster Mouse began dropping Living Shards. 4 April 2012: The Monster Mouse began dropping a bonus Monster Egg as loot during the Spring Egg Hunt 2011 event. 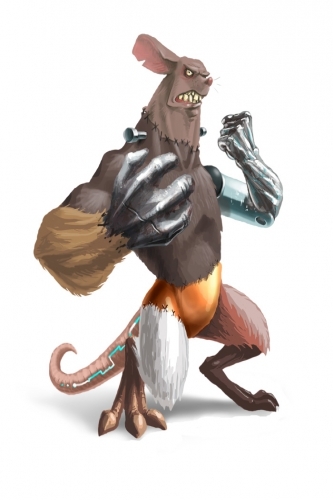 25 June 2013: The Monster Mouse gained a vulnerability to Law power type traps, with the release of Varmint Valley. 25 March 2014: The Monster Mouse gained a vulnerability to Rift power type traps, with the introduction of the Rift Plane. 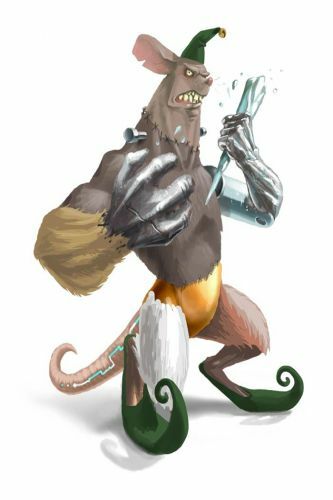 9 September 2014: The Monstrous Abomination Mouse is released with the opening of the Burroughs Rift, as the Rift counterpart of the Monster Mouse. 17 October 2018: The Monster Mouse changed mouse groups from Indigenous Mice to Lab Experiments.